ExoticReptiles specializes in reptile cages, snake cages, and the sale of many exotic reptiles such as the Columbian red tail boa constrictor, burmese pythons, or bearded dragons. 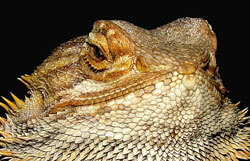 We've got access to hundreds of different exotic reptiles so if you don't see what you're looking for contact us. Based in Charleston South Carolina, we provide the entire southeast with custom built reptile and snake cages. 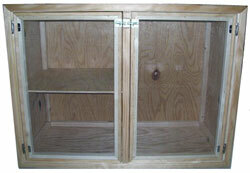 Our custom reptile cages are low cost and specifically built for iguanas, bearded dragons, and other reptiles. Our snake cages are also low cost and feature an elevated platform and escape-proof design. A properly designed reptile and snake cage is essential for keeping your pet healthy and safe. We've got red tail boas and burmese pythons for sale today. Contact us today for pricing and shipping information. Looking for an inexpensive custom enclosure for a snake or reptile? Call today for a custom reptile or snake cage that will fit your needs exactly! Information what you're looking for? We have multiple reptile and snake care sheets with more being added daily. Tegus make great pet lizards. Learn how to care for them properly. Bearded Dragons make one of the best pet lizards to own for kids and their parents alike. Learn how to care for them here. Burmese Pythons are not for the beginner. Learn about size and feeding here! Learn about "retics" bafore you take one home. Definitely not for the beginner! Colombian Red Tail Boas make an excellent pet. Learn how to care for them here. Without a doubt the best snake to own. Learn why here.